Well, I think it's pretty clear what I mean by thai curry... the picture above totally does it justice. Shawn hadn't made a curry in a really long time so I snuck in a request for some on Thursday while we were doing our grocery shopping. 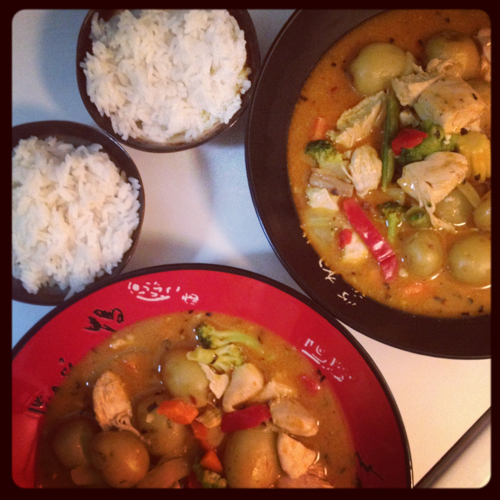 He hit the nail on the head this time around; seriously, this was the best homemade thai chicken curry yet! Usually we forget an ingredient or two, like peanuts or potatoes... but this one had everything, and it was absolutely delicious with just the right amount of heat. I wish we could send you all some through the internet... too bad all you get is a picture! After our curry feast and an episode of How I Met Your Mother (my new favorite show! 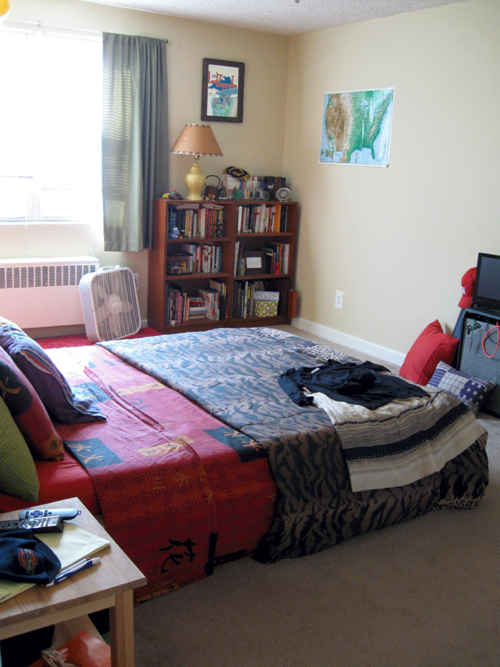 ), Shawn felt motivated to move some things around in the bedroom. Neither one of us has been sleeping well as of late, so we thought a small change might be nice. We basically swapped the bed and the tv/instrument walls. It makes the whole room flow just a little bit better. The major difference is that we swapped our sides of the bed too. Shawn now sleeps on the door side and I'm sleeping on the window side, which is perfect for me because I'm like a freakin' furnace at night so now I can be on the cooler side of the room. Small changes, big difference. Amy - Shawn always just wings his recipes, hence why we never share them on the blog. The trick to this one was to start with Trader Joe's red curry sauce and then add coconut milk and our own extra spices until it tastes even better. Don't worry though, we'll be sharing this one once we remember to write it all down! Thanks Carole! We will definitely have to try that out - your recipe looks authentic! 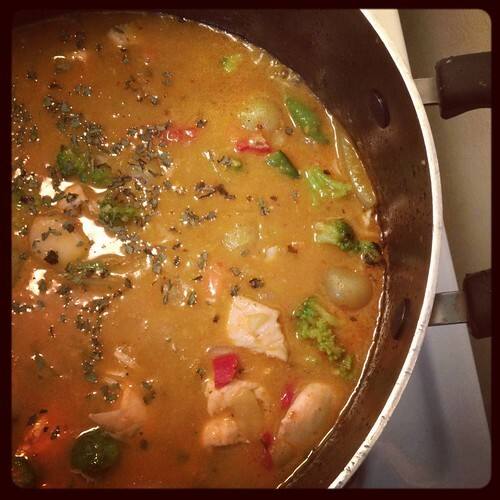 It's the only part of Thai curry that we have yet to make from scratch.